Rotorua-Travel-Secrets.com offers a unique type of advertising opportunity that will highlight and create brand awareness of your business with intending visitors - while they are in the planning stage of their trip to Rotorua. The offer? Exclusive sponsorships for your sector of the Rotorua tourism market. International visitors to my website begin planning ahead, up to a year or more. Local New Zealand visitors also search my website in advance for holiday or short break ideas. You may notice this with comments or questions left on my site. The common scenario (still) for a business, is to place an advert for their hotel, b&b, restaurant, attraction or other service for the tourism market in a brochure, travel magazine, newspaper. Too late. By the time the advert is seen by the arriving visitor the decisions regarding accommodation, what to see and do, where to eat and mode of travel has already been made and most likely pre-booked. Traditional advertising methods are limited by both geography, circulation and a short life span which can be an expensive exercise. It is also more than likely it will reach your audience when they are not actively thinking about their trip. Consider this. People are getting more and more web savvy every day. They go online to research Rotorua. Heck, they may know it better than we do by the time they have finished, are packed and on their way. With the power of the Web, and this website of course, your Rotorua advertising reaches an audience that is highly-focused and specifically searching for information related to your segment of the tourism industry i.e., Rotorua hotels, restaurants, attractions etc. And the thing is, it is accessible 24/7, 365 days a year. Don't you love it? Why Advertise With Rotorua Travel Secrets? The following graph, found on Google Insights, tells us that visitors do their research about Rotorua year-round. Click here or on the image for the latest graph. Men from New Zealand, Australia and the United States, in that order, are the principal visitors to Rotorua-Travel-Secrets.com with men in the 25-34yr bracket featuring strongly. They are the ones carrying out the pre-planning, the budgeting, bookings, dotting the i's and crossing the t's. 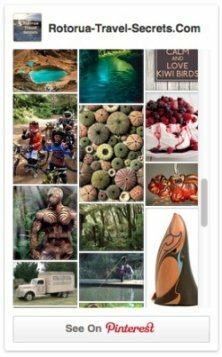 Most of their research about Rotorua is carried out on mobile and this is where Rotorua-Travel-Secrets.com comes in. Intending visitors connect with my site before they have booked a single thing. This makes them a perfect match for you and your high-quality Rotorua business. Exclusivity is the key element along with repetitive exposure by a trusted authority (that's me). Competition? What competition? It falls by the wayside with this form of advertising. Rotorua-Travel-Secrets.com went live with the first page in May 2011. Now up to 95pgs as at January 2015, it will continue to grow (and the traffic along with it) as I write more articles about places to eat, sleep and play in Rotorua (there's a long way to go yet) accompanied by impressions and stories of my own. I love what I'm doing, both for the site visitors and the local businesses I write pages about… it feels like I'm adding something of value to both parties and to Rotorua. The site is steadily gaining in popularity and visitors often refer others on travel related forums or by word of mouth. Judging by testimonials and comments left on the site, visitors like that it is written with a personal touch by a local as opposed to a commercial or government website. They are on my site because they intend to visit Rotorua either shortly or in the near future and for that they need your valuable product or service. As this is not a commercial website there are few sponsorship opportunities. One sponsor to each category in fact, eg. B&B, Hotel, Restaurant, Thermal Attraction etc. The product or service MUST be high-quality and it follows that the company would have a philosophy similar to Rotorua-Travel-Secrets.com. Contact Rotorua-Travel-Secrets.com by completing the following form. I'm excited as we move forward together to see how we can create a win, win, win. For you, our visitors and Rotorua-Travel-Secrets.Com.